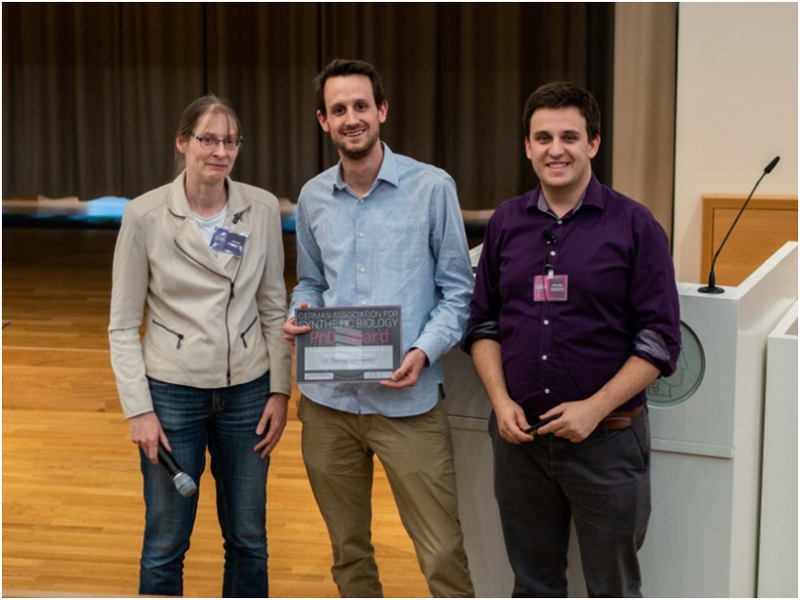 GASB is happy to announce the first PhD award for Synthetic Biology, which was awarded during the GASB II Conference and endowed with 1000€. Candidates should have defended in the period of November 2017 until August 2018 in the field of Synthetic Biology and achieved forward-looking research. The awardee this year was Dr. Thomas Schwander, from the Max Planck Institute of Terrestrial Microbiology, in Marburg. To the best poster presented during GASBII 100 Euro gift card was also awarded. The winner was the PhD student Leo Scheller from, ETH Zurich, Switzerland.